In honor of tonight’s final presidential debate, I thought it appropriate to feature the TRUMP board game game, originally published by Milton Bradley in 1989 and continues to be republished by Parker Brothers (until such a time as Trump Publishing is done with its litigation). 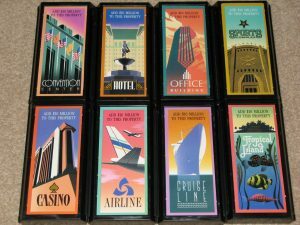 Don’t worry, the object of this game is simply to make the most money. The Trump 4 Prez 2016 board game is behind schedule because all playtesters been fired and declared losers. 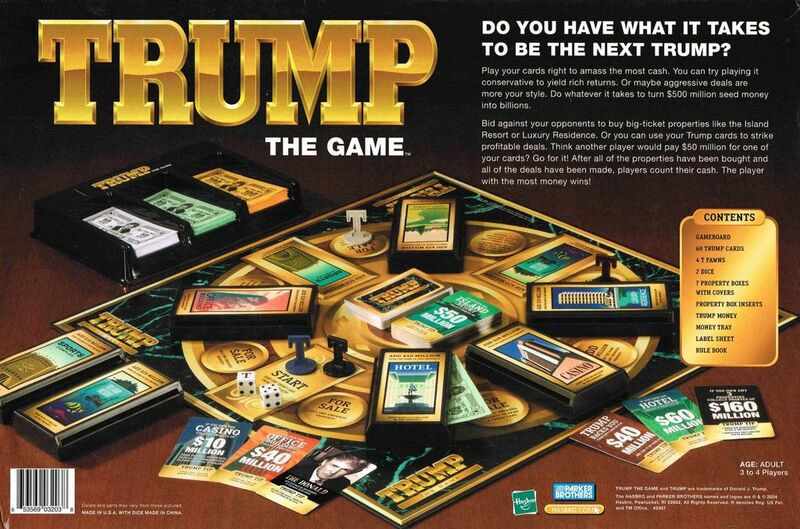 When the TRUMP board game was first released, Donald Trump surprised Milton Bradley at the unveiling by declaring that a portion of proceeds would be going to charity. 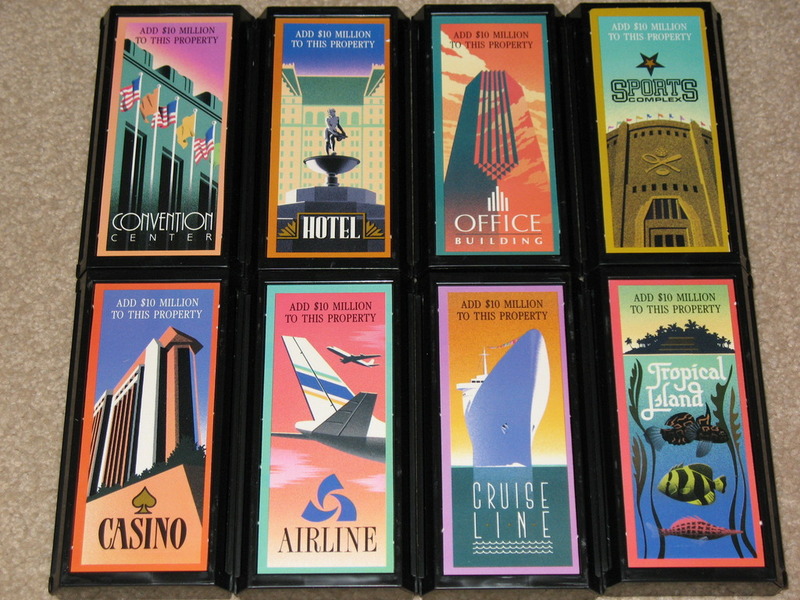 The game was intended to rival the sales of Monopoly, but instead fell abysmally flat. 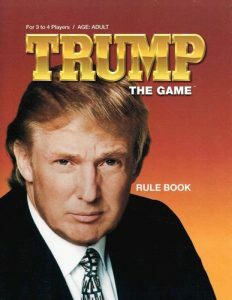 Trump blamed the game for being too complicated. Despite it’s failure (falling 1.2 million copies short of projections) over $800k from its revenue did find its way to charity as promised–directly into the Trump Foundation.